Plus, our fundraisers are the only time you can purchase subscriptions and have the next four issues arrive in your inbox upon release (and at a discounted rate)! 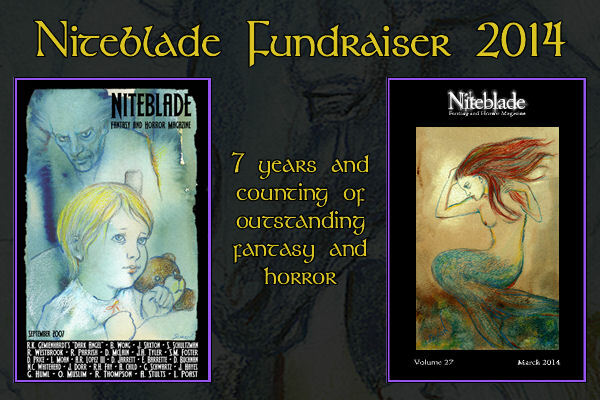 Check out our IndieGoGo campaign, see how you can claim some of these fantastic rewards for yourself, or help us spread the word to all your friends — whatever you can do to help support Niteblade’s efforts in the coming year we greatly appreciate it. Thank you!